When cow’s milk has been treated into a form that is suitable for babies it is called formula milk. There are many types of brands for this type of baby product in various shops and many paediatricians’ caution mothers not to by any brand that is not recommended. It is advisable to always check the labels to ensure that you are buying a suitable product for your infant. Baby formula comes in two different forms; a powder, which can be mixed with water and turned into a liquid product. The liquid nutrient based baby food is very convenient when on the move however; it is very expensive and needs to be used up as soon as it is opened. There are many types of infant milk and a few have been listed below to help you navigate you through the endless types you find at the store. First milk, which is also known as first infant formula, is suitable to be fed from the time of birth. It is made of whey protein, which is a type of protein found in cow’s milk. The other protein found is casein. Whey protein first milk is said to be easily digested in the stomach of an infant when compared to other formulas. This too can be used from the time of birth and contains the same levels of nutrients as to a recipe made from cow’s milk. It is unsuitable for children who are unable to drink cow’s milk due to food allergies. This is also know as hungrier baby milk, which is suitable from the time of birth, however, you should always consult your midwife or doctor before, letting your child drink it. It contains more casein protein, which takes a lot of time to digest in babies. Regardless of the name, there is no certainty that the product allows babies to settle down and sleep longer. Staydown milk is also known as anti-reflux, which can only be given to babies under supervision of the doctor but anytime after birth. This is a thick formula, which does not allow it to rise up from the baby’s stomach after they are being fed or after being fed. It is strongly recommended to be used only when the doctor suggests it. This milk should be fed to the infant under medical supervision as well but can be used since birth. The protein in this has been partially broken down so that is can be digested easily and will support digestion problems such as constipation and colic. This milk is only suitable under medical supervision and can be fed from birth. This is ideal for infants who are unable to absorb the sugar called lactose, which is found in all dairy products. This is also another formula that needs to be fed under medical supervision. This contains proteins that have been broken down completely if he or she is allergic to milk of cows. This milk can only be fed for babies who are under six months old and is strictly under supervision of a doctor. This does not have nay benefits for your infant. This is very similar to follow-on milk in terms of feeding and the infant should be under six months as well. 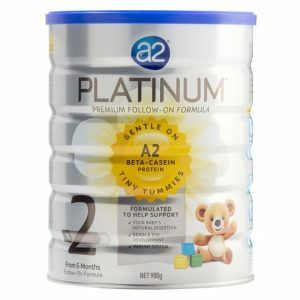 The age group for this type of formula is for one year olds and your doctor should recommend it for the toddler. This type of milk is an alternate option instead of whole cow’s milk. In addition to these milks, there are a few types of milks that should be avoided while your child is still less than twelve months such as condensed, evaporated and dried milk.